The Wonder Years actress Alley Mills says that the show ended over ridiculous sexual harassment allegations against Fred Savage and Jason Hervey. Mills played Norma Arnold, mother to Kevin, Wayne, and Karen from 1988 to 1993 on the beloved TV series, which was going to go on for a 7th season until the allegations popped up, resulting in a lawsuit against Savage and Hervey by costumer Monique Long. The network ended up paying off Long and canceling the show. In a recent interview, Alley Mills reveals that the cast didn't even know that the last episode of Season 6 of the Wonder Years was going to be the end of the show while they were filming. Mills went on to call the allegations leveled against Fred Savage and Jason Hervey as ridiculous. The actress had this to say. "When we shot the series finale ... nobody knew whether or not The Wonder Years was going to be renewed. And that's because of a completely ridiculous sexual harassment suit that was going on against Fred Savage, who is, like, the least offensive, most wonderful, sweet human being that ever walked the face of the Earth." The harassment suit was out in the news when it occurred back in 1993 and the network felt that it gave the show "unwanted publicity." However, it was not common knowledge that the show was canceled because of the suit. 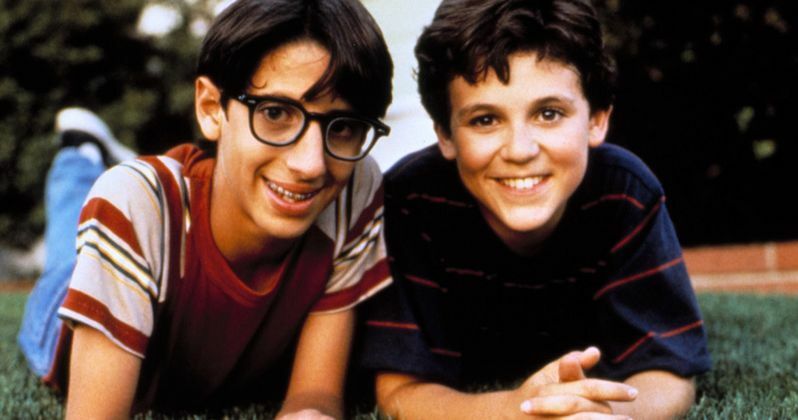 Monique Long claimed that Fred Savage and Jason Hervey verbally and physically harassed her while she worked as costume designer on the Wonder Years. She claims that Savage, who was 16 at the time, constantly begged her to go out on dates with him, going as far as to say she should have an affair with him. She claims that Hervey, who was 20 at the time, touched her inappropriately and made sexually charged comments about her. Monique Long also claims that the abuse was so bad that it prevented her from doing her job, which in turn got her fired. A female crew member said at the time that Long was fired for performing poorly. She alleges that she would fall asleep on the job and was not always able to be found on the set. Alley Mills likened it to the #MeToo movement but took the side of the possibility of some of the men being innocent and getting swept up in the negative backlash. Mills called the situation "tricky." She explains. "I just thought (the lawsuit) was a big joke and it was going to blow over. It's a little bit like what's happening now - some innocent people can get caught up in this stuff; it's very tricky. It was so not true." Mills cited a gag order when asked why all of this didn't come out in public sooner. It's only now that the story is being talked about publicly. In the end, the network paid Monique Long an undisclosed amount of money for the lawsuit to be settled out of court. Alley Mills does not agree with the way that the situation was handled, noting that it made Fred Savage and Jason Hervey seem guilty. She had this to say. "I just thought this was a joke. You know, they bought her off, which made me mad. That was incorrigible that the network did that; they should never have paid her off. They wanted to avoid a scandal or something, but it made them look guilty. You know, you don't pay someone off when there was no crime, you just fire the girl." Fred Savage spoke out at the time of the court settlement and said that he was "completely exonerated," adding that it was a "terrible experience." You can read more about what Alley Mills had to say about the end of the Wonder Years from Yahoo.